Ruddy Duck, Sparrowhawk, Kestrel, Ringed Plover, Redshank, Dotterel, Woodcock, Snipe, Jack Snipe, Lesser Black-backed Gull, Common Tern, Short-eared Owl, Kingfisher, Grey Partridge, Green Woodpecker, Great Spotted Woodpecker, Turtle Dove, Sand Martin, Cuckoo, Yellow Wagtail, Wheatear, Redstart, Spotted Flycatcher, Grasshopper Warbler, Lesser Whitethroat, Nuthatch, Siskin, Goldcrest, Corn Bunting and Water Vole. 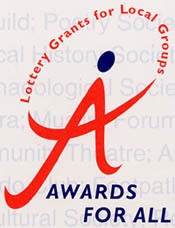 Back in 2001 the group were awarded £5000 by the Awards for All Lottery organisation. With this money the group purchased video recording and editing hardware and software. As a result the group can boast the latest digital recording and editing equipment on the market. 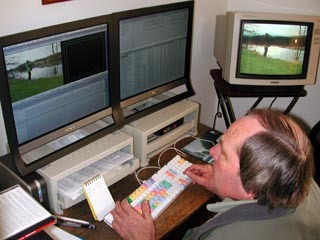 With this equipment we can produce a video from concept, story-boarding, filming and editing, through to transferring the final production to tape or CD-ROM/ DVD-ROM. In 2006 we were awarded a further £5000, part of this was used to upgrade our system, to the latest Power Mac G5, plus Final Cut Studio. We are well in to our next production, a video on the changes, past present and future at North Anston Pit Top. We are currently researching old images, as well as filming the area in it's current state, continuing as the changes and redevelopment is completed recording as the site begins to flourish. 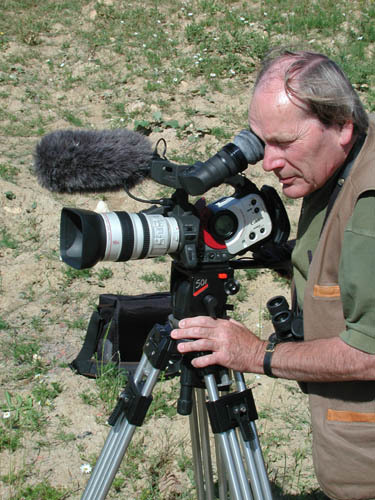 Another ongoing project is to produce a video site guide to SK58-An interactive DVD showing the top birding spots in SK58, with maps, routes, facilities and of course the birds. Watch this space. Pictured left are (from L>R) Alan Bradford, Ian Barkley and Chris Lilley filming on the Chesterfield Canal for our Video Site Guide to SK58. 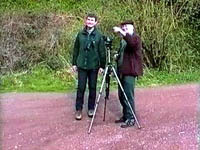 We have produced a video on Anston Stones Wood on behalf of Anston Parish Council. Ten years ago a botanical survey was undertaken with photo's taken throughout the wood to capture the different aspects and habitats. Ten years on Anston Parish Council commissioned the group to retake these images so comparisons could be drawn, and changes noted. We decided to use moving images rather than stills. Between March and September 2002 several members of the group spent afternoons story-boarding and filming sequences for this video. Over the next few months we edited this, put in the graphics, commentary and music and handed over the final production to Anston Parish Council on Mini DV, VHS and CD-ROM. 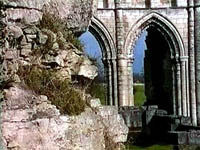 The Anston Stones Wood video is available on VHS, Mini DV and CD-ROM and DVD (Microsoft Office Powerpoint and Quicktime Movie). Copies in whatever format are available. See publications page for costs. Above images from our SK58 promotional video produced in 2000, using borrowed equipment. 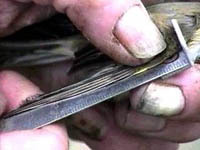 Click on any image for a selection of video grabs from this video. One member has years of experience in this field whilst other members are quickly learning the ropes. In essence we are a complete video production unit. If you are in the market for a promotional video, preferably environmental, or would like anything documenting to tape, then do email us or contact any of the organisers. We have the equipment and experience, so why not put us to use. We are currently producing the changes of NAPT and a video site guide. We have 6 active members who are getting to grips with video production and editing.